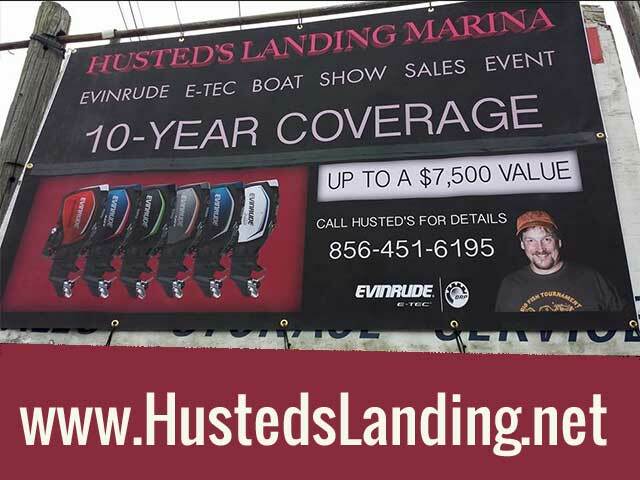 Limited time offer: 10 year warranty on new Evinrude E-tec outboards at Husted’s Landing. If you were thinking about getting a new Evinrude E-tec outboard now is the time! Don’t miss out on this great offer and contact Kenny by phone at 856-451-6195 or fill out the contact us form here.